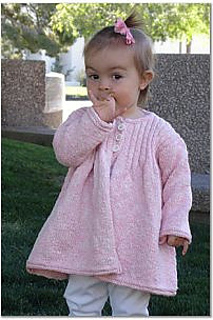 This adorable coat dress for toddler girls in Lanas Puras Clarissa is perfect over leggings or jeans. The coat dress was designed to be an easy knit requiring minimal shaping. The ribbing pulls in the bodice to create the effect of a semi-shaped armhole. 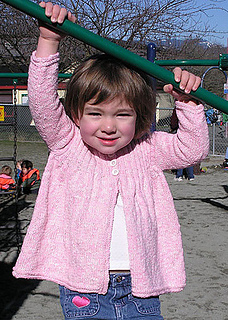 Knit this sweater for your favourite one-year-old and she’ll still be wearing it when she’s three. 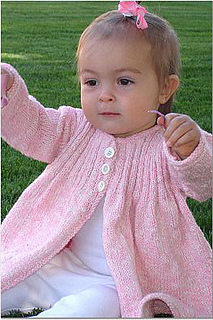 It will have stylish three-quarter length sleeves and a shorter skirt – but it still looks great!